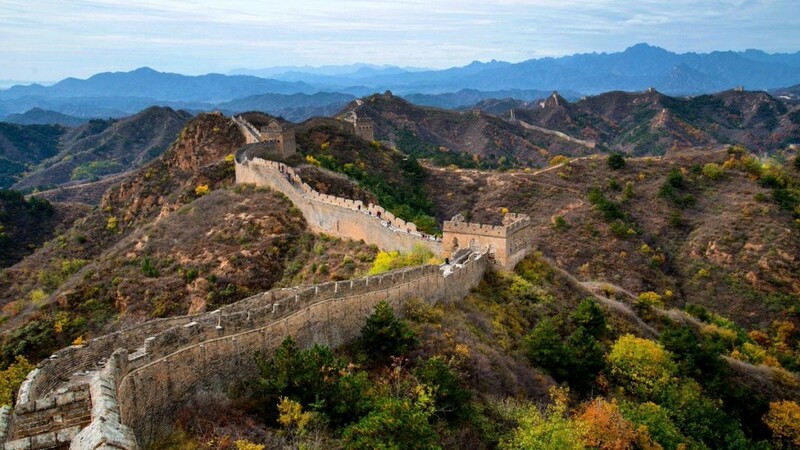 We will embark on an exciting 21 km Great Wall trek from the picturesque wild Gubeikou Great Wall, over the Jinshanling Great Wall all the way till the western section of the Simatai Great Wall. 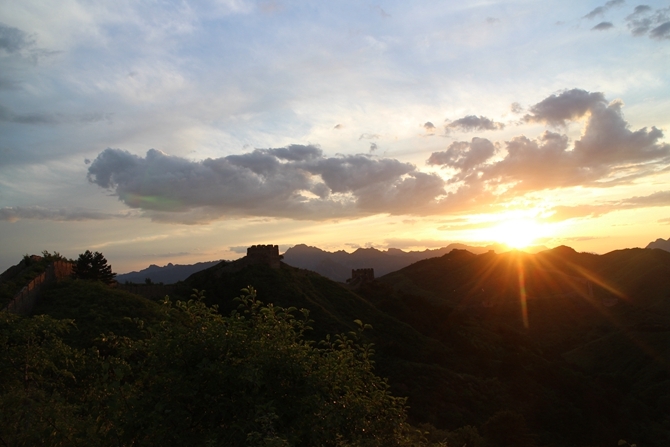 We stay overnight at a farmhouse located right in the middle of the wild Jinshanling Great Wall. 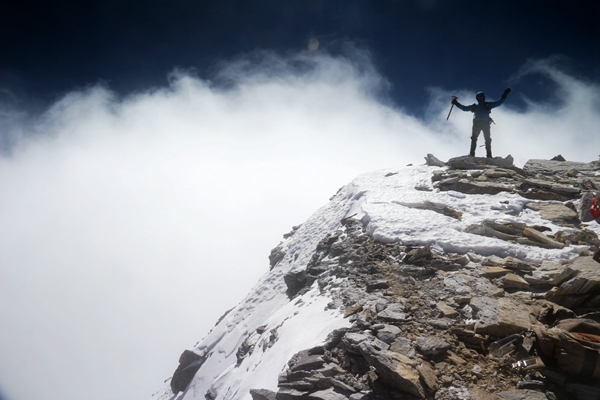 It’s a trek where the views go from excellent to simply fantastic. 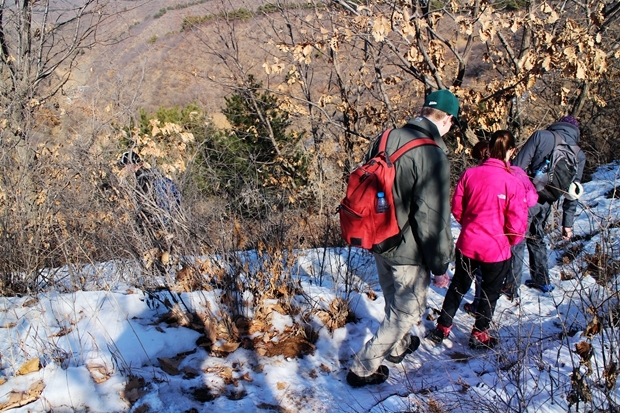 In the end of day 2, you will feel the muscles, but the hike is enjoyable for everyone with an average physical condition. 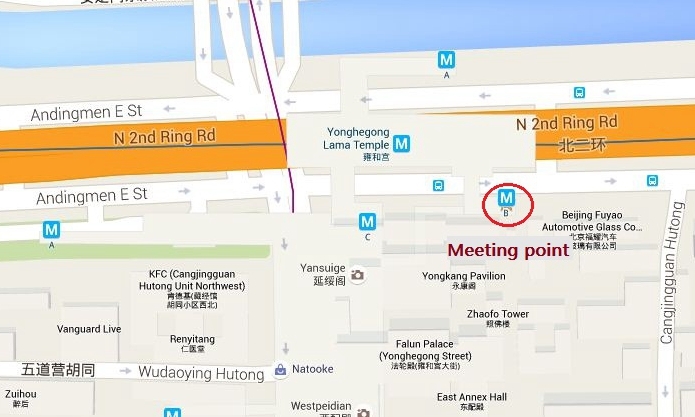 From our meeting point (Lama Temple Subway exit B), our driver will drive for 2-hour to get to the border of Beijing and Hubei. 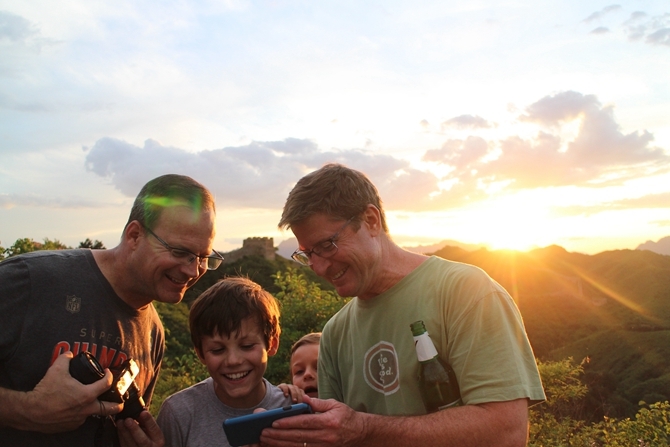 In our first stop, we will meet our longtime friends at the Gubeikou Great Wall. 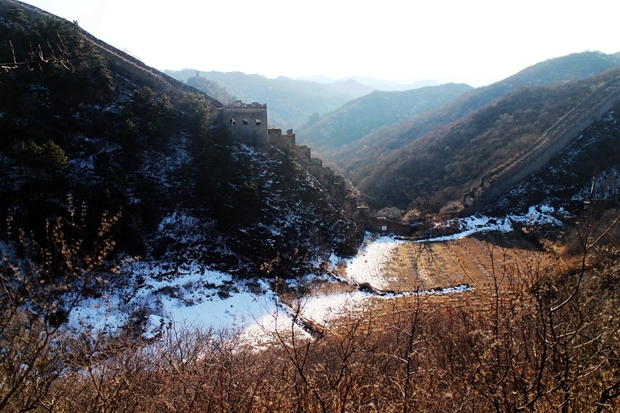 They are local farmers that run a small homestay at the back of a valley surrounded by the Great Wall. 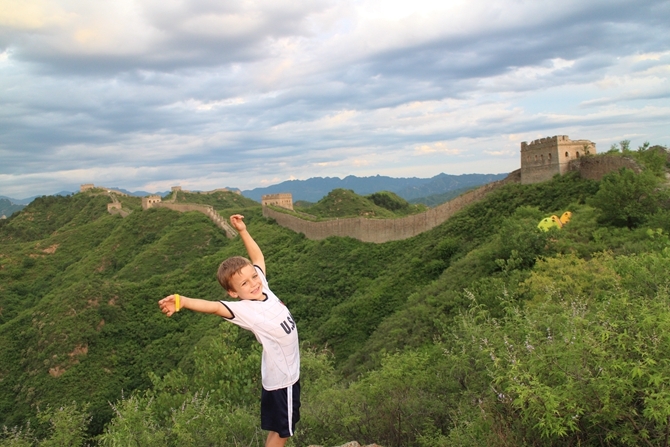 With a view of the Crouching Tiger Great Wall, we will enjoy a delicious meal in their backyard. 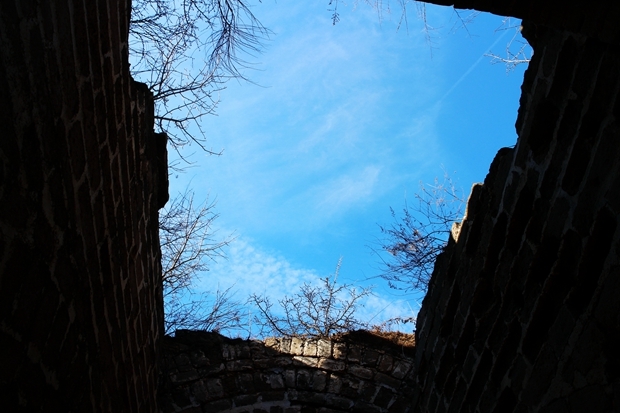 From here our adventure starts. 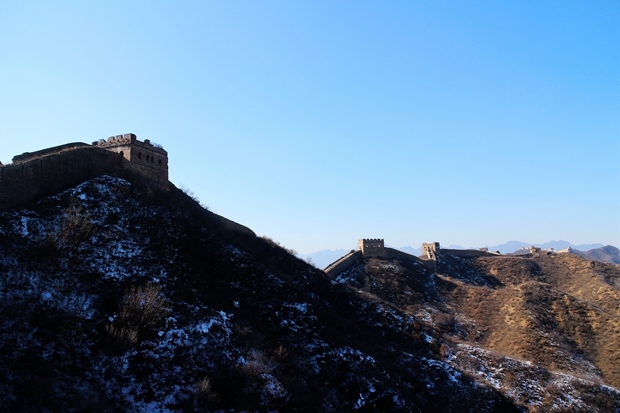 It takes us only 15-minute to arrive the hill behind the farmhouse before we have our first glimpse of the Gubeikou Great Wall. 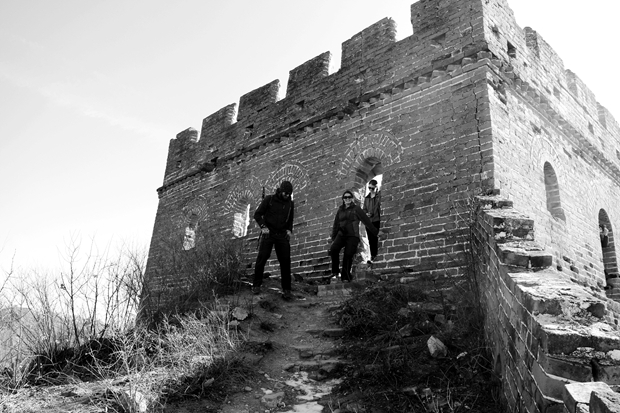 We will get to the top of the Great Wall after a few turns on a dirt trail. 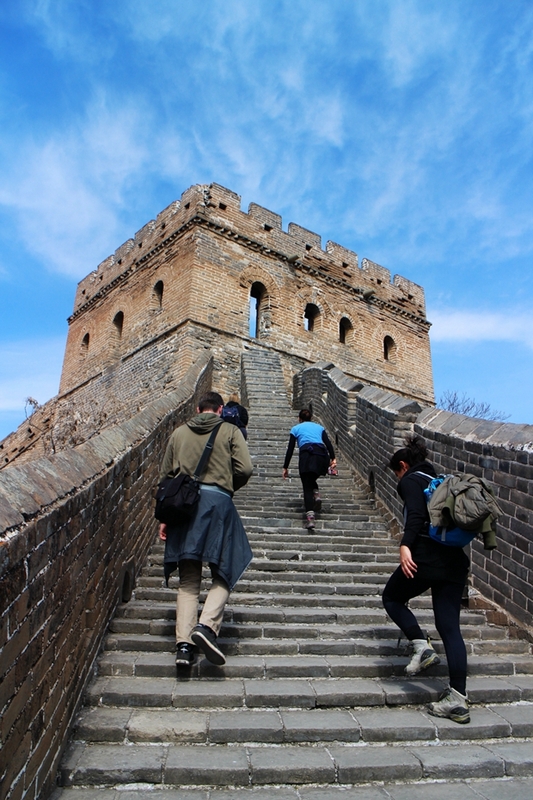 We hike from tower to tower, we will take breaks on top of different watchtowers and take some great photos on this 1400-year-old section of the Great Wall. 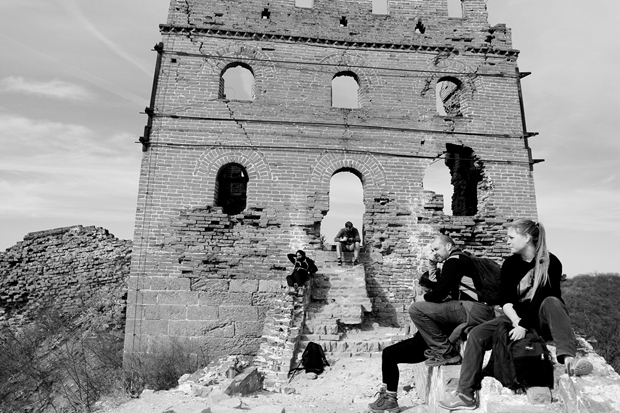 3 hours later, we arrive at the highlight of today’s trail, the Gubeikou General Tower. 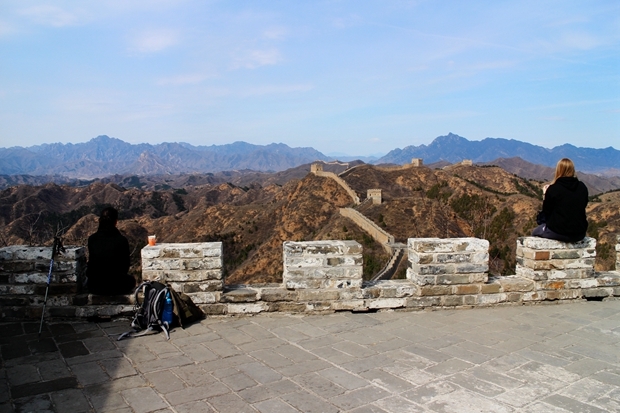 From this tower, you can see the “whole Gubeikou-Jinshanling-Simatai Great Wall trek” from the head to tail. 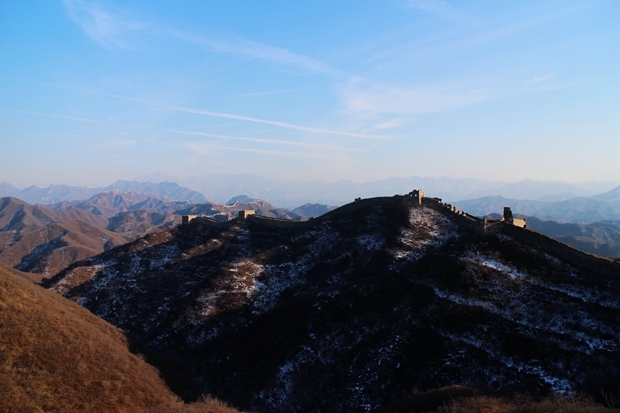 In a clear day, we can even see the highest tower at the end of the Simatai Great Wall. 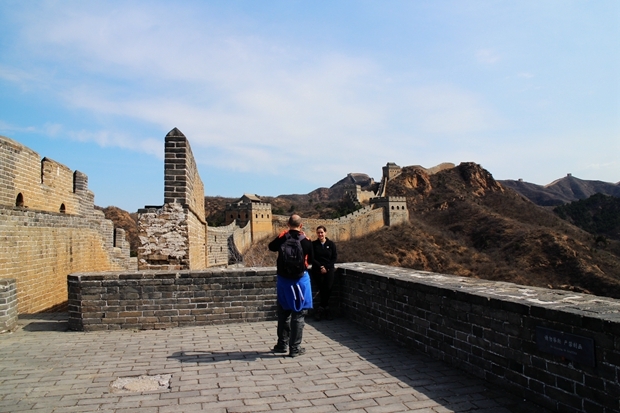 We side track a bit from the wall to get around the restricted military section of the wild Gubeikou and Jinshanling Great Wall. 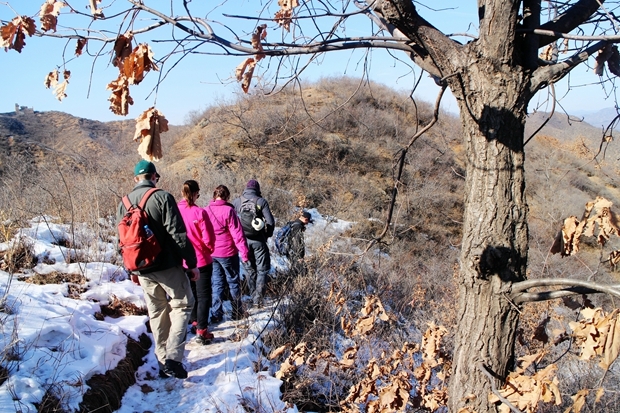 The side track is just as beautiful as we hike on the hill ridges and through the farm fields next to the Great Wall till we reach the farmhouse where we will rest for the night. The farm fields have gotten quite dry in this area so this farmer had the splendid idea to renovate his farm into a cozy homestay right next to the Great Wall. 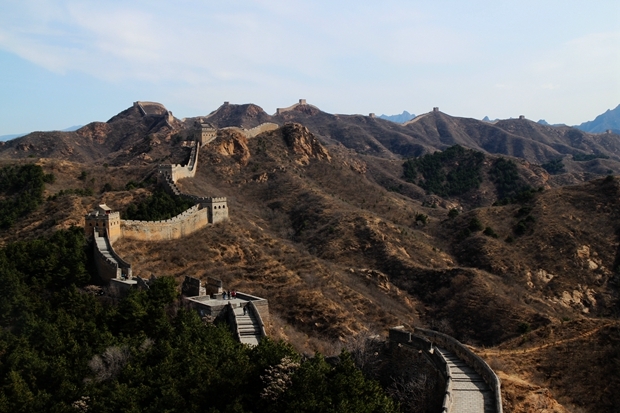 We get up early next morning, and head straight for the Great Wall again after a good breakfast. 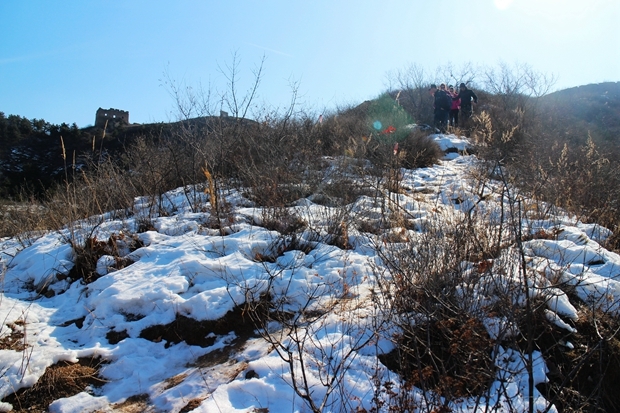 A small trail will bring us pas an excellent view point and 15 minutes later we are on the wild Jinshanling Great Wall. 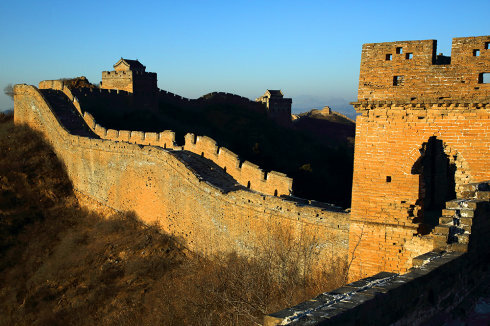 The 10-km long Jinshanling Great Wall shows some amazing defensive features like barrier walls, battlement walls, watchtower, gun emplacements, shooting holes, horse blocking walls. 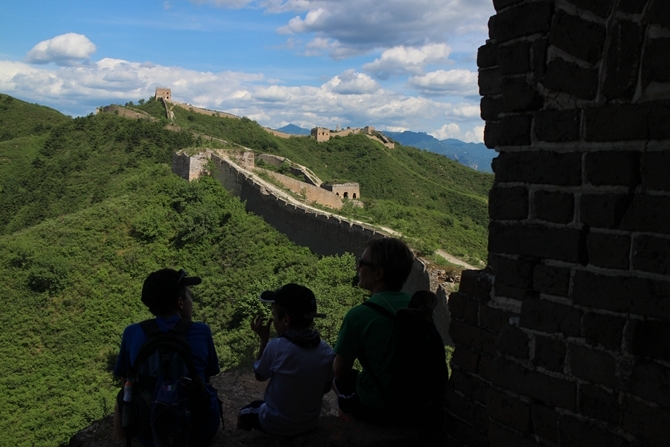 We hike down the crumbled section of the wild Jinshanling for about 30 minutes till we reach the most famous and best preserved section and partly restored section of the Great Wall. 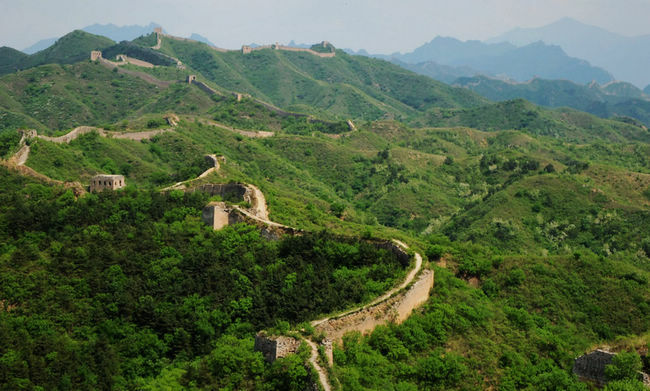 Here you can see how the Great Wall of China looked during the Ming Dynasty. Our last hike is all the way to the uphill again. 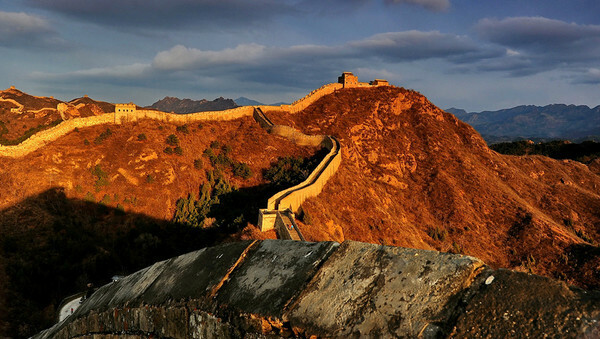 We will pass the General tower with its intoxicating views over miles and miles of the Great Wall and head to the last of the 67 watchtowers of the Jinshanling Great Wall. 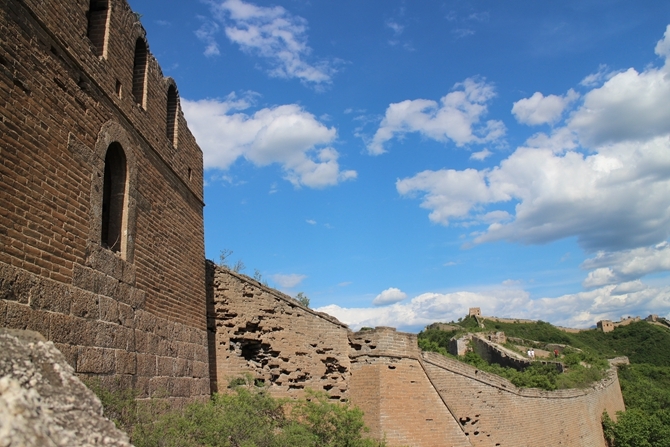 Here we reach the Simatai Great Wall. 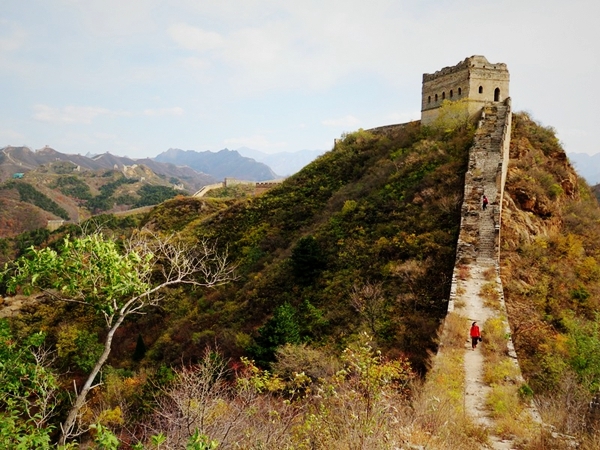 We visit 4 more towers at the Simatai Great Wall and take a last spectacular picture of the Fairy tower, the highest tower on the Simatai Great Wall. A small trail through the forest will bring us to the end of the valley. An excellent lunch will fill our hungry stomachs and a few beers will quench our thirst. After lunch, we can have a nap in the van while our faithful driver brings us back to our meeting point in Beijing. The estimated arrival time is 6 to 7pm. 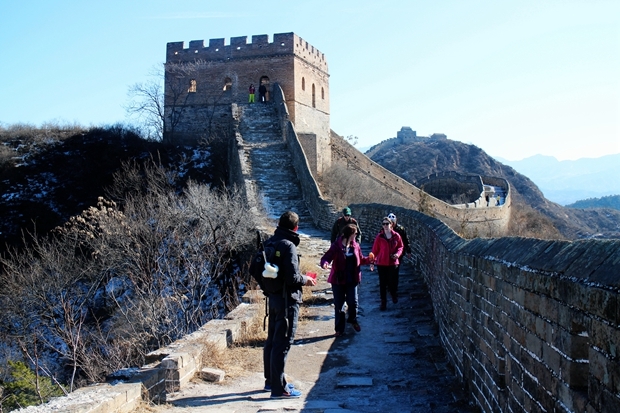 Our two day trek on the wild Wall with our guide Jimmy and our driver Jet was the highlight of our two week trip to China, and the fulfilment of a lifelong dream. 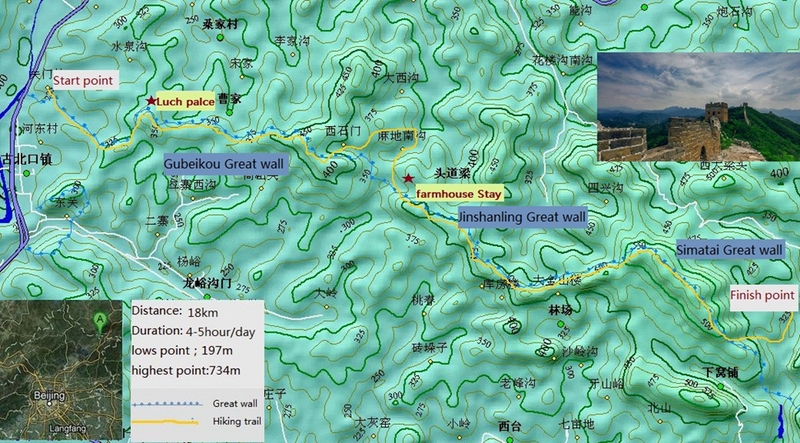 From the moment we booked, ChinaHiking looked after us. Chloe in the office looked after us and made all the arrangements, and was super quick in all her responses. Fred met us with Jimmy and Jet when we set off, and then was there to greet us when we returned - and then walked us back towards our place. We could not have asked for a better guide. Jimmy was knowledgable, attentive, considerate, complimentary and encouraging. And very very funny! 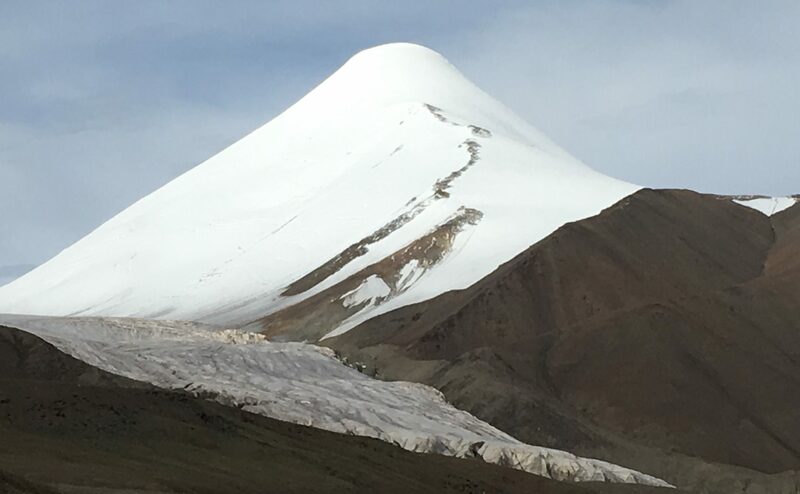 In other words he was great company for two days as we headed from Gubeikou to West Simatai via Jinshanling. We stayed in a farmer’s house rather than camp on the wall, in a valley with the wall above us. We ate like kings and queens the whole way. 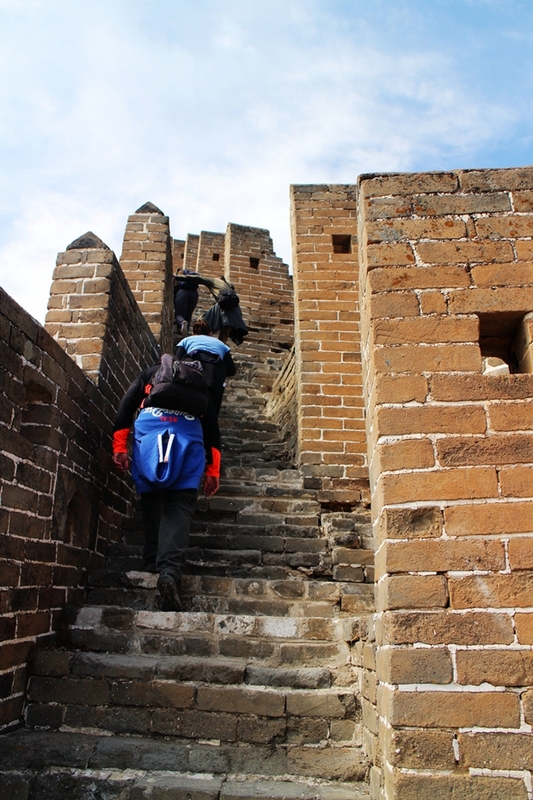 I can not recommend ChinaHiking more highly, they were awesome from beginning to end, and made possible this trip of a lifetime. Thank you guys! 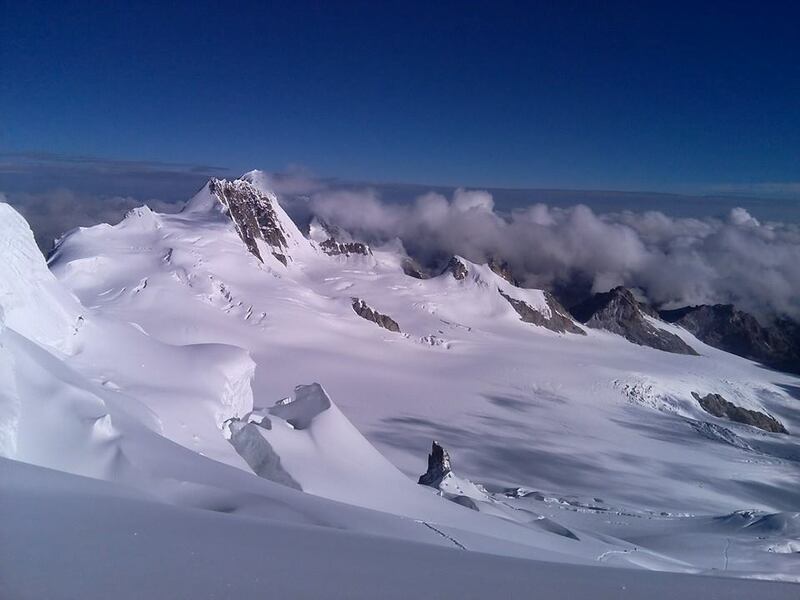 If you are looking for a remote climb of The Wall, meals with local farmers, sunrise and sunset with tenting overnight along the wall, look no further. 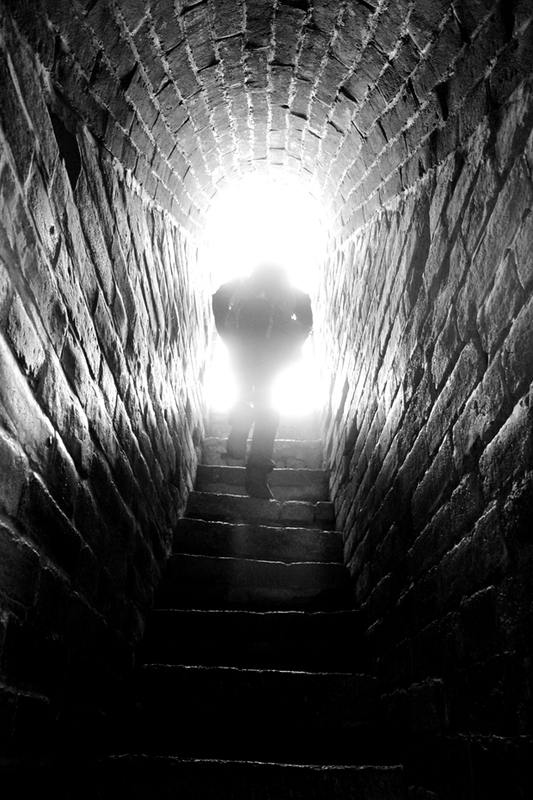 Exceptional guides, that are passoionate about their work, history and caring for their guests. We had an amazing hike trip! everything was well organized, friendly and we had the best food in whole asia. Let me just say it was a awesome trip for me and my mother. 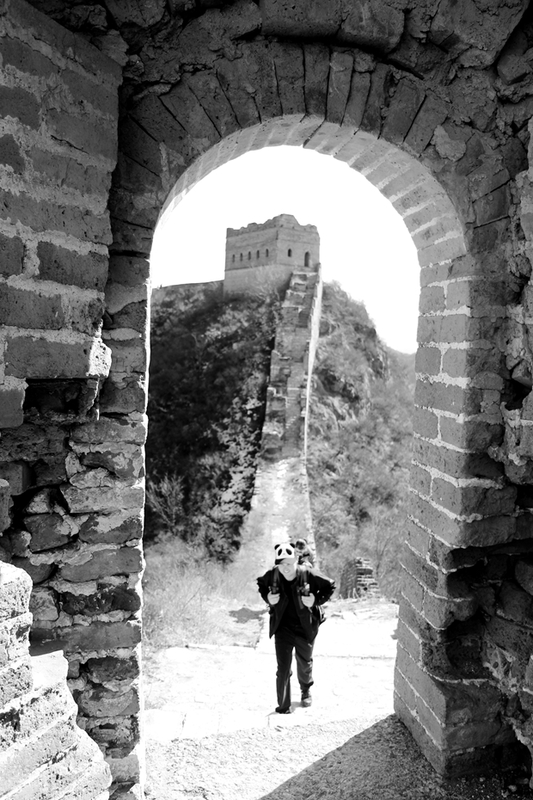 I absolutely loved hiking the china wall! it was great!! 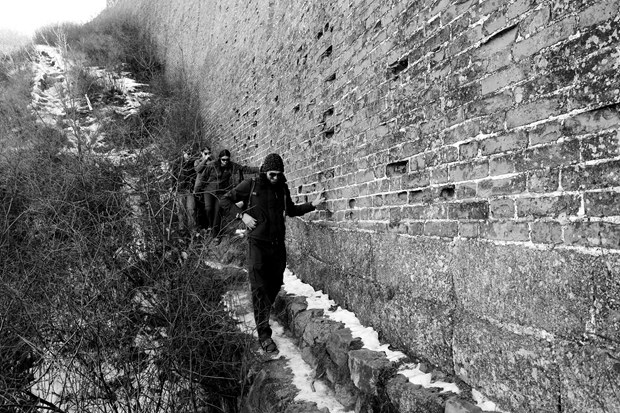 China Hiking were very nice and got took us to some of the remote areas on the wall, it was so good to see both sides of the unrestored and the restored areas of the wall. We were meant to be camping and did not as there was a cold front coming in, I was hoping to camp, but in fairness it would have been cold. The food was beautiful at all of our stops and the farmhouse was very comfortable with heating and wifi! 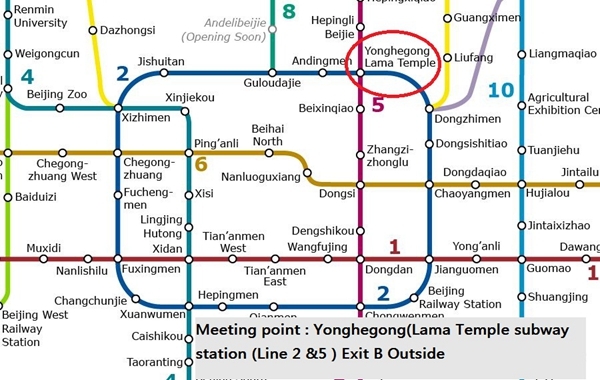 It is the first tour I have ever done where you have to meet up at a train station, it would have been better if they did hotel pick ups and drop offs as when your new to Beijing, it can be very daunting. 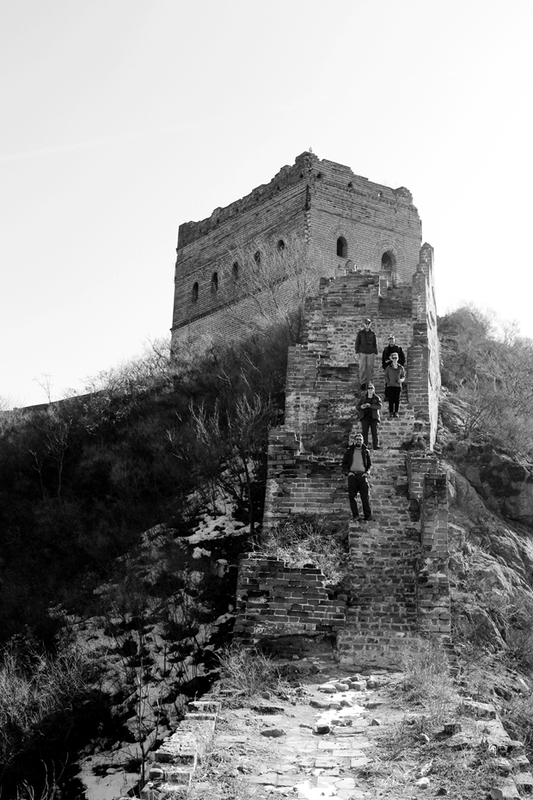 other than that, I had a very good experience with China Hiking. i have joined this trip with my mother on a 2 day hike. Great thanks to Fred & Heidi for that incredible journey. We can see why so many people join your trips. 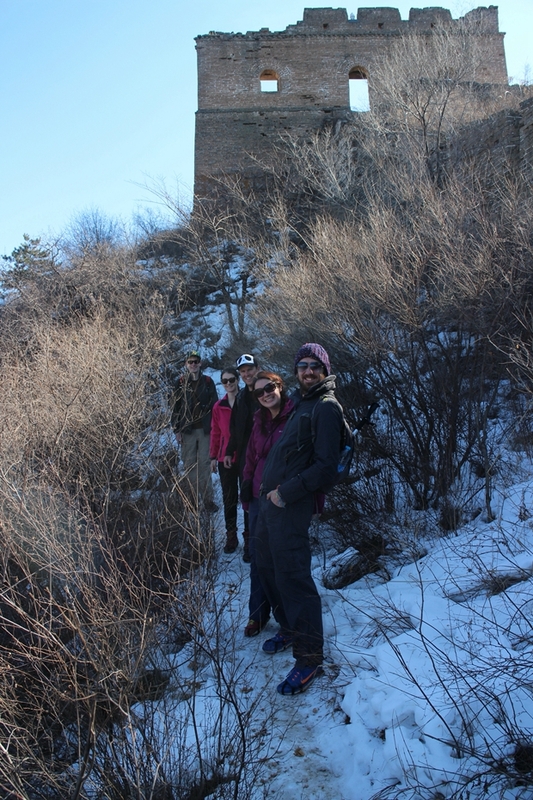 With a small group, trekked some 18 km from Jinshanling. Soon left the tourist part, side tracking down into a valley for lunch then trekked on the original decaying section till sunset with noone else around accept for our group. 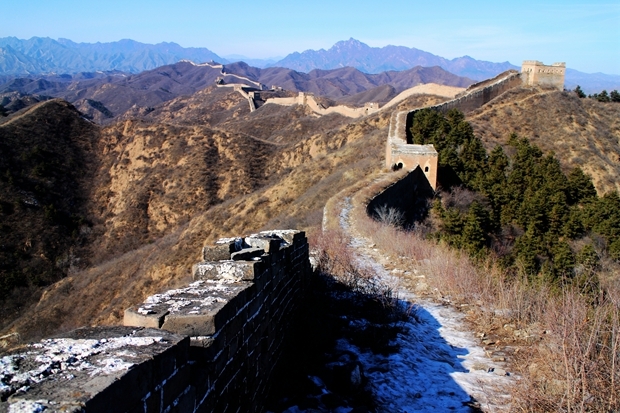 Stunning sunny day, tour supplies essential sticks as the wall is very uneven, very steep in parts and challenging but breathtakingly beautiful with a unique history. The overnight homestay was delightful with delicious dinner and breakfast, and unique warming system in the house.